US equity indexes closed fractionally mixed, sp -7pts at 2500. The two leaders - Trans/R2K, settled +0.2% and -0.1% respectively. 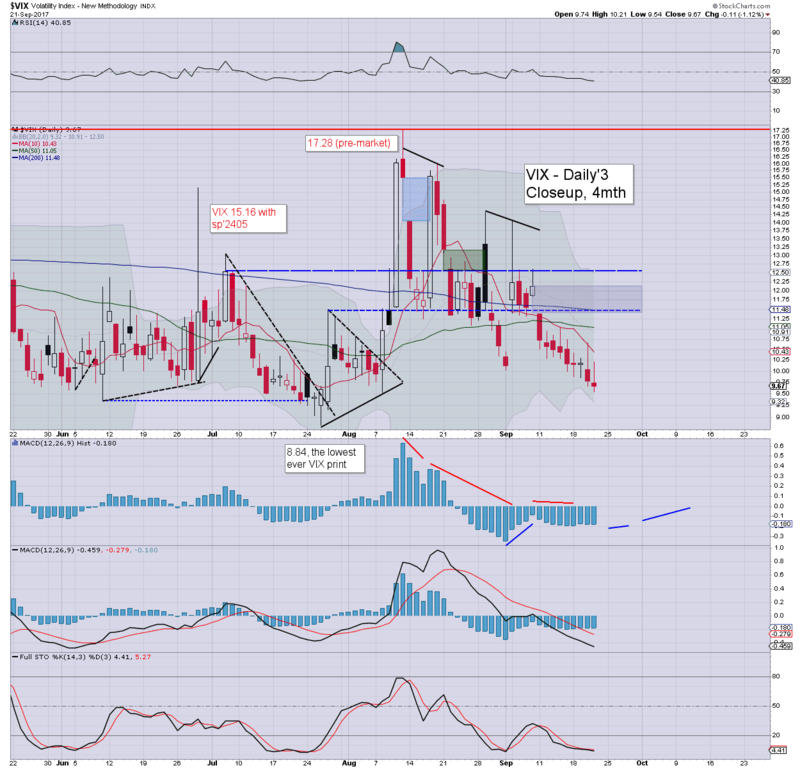 VIX settled -1.1% at 9.67. Outlook still offers a 4-5% main market correction into October. More broadly, the bullish train is set to remain on the tracks into spring 2018. US equities opened a little weak, and saw a great deal of minor chop across the day. There was a touch of renewed weakness into the close, as the market feels distinctly tired.. especially with the fed out of the way. Cyclically, price momentum is increasingly swinging back toward the bears. 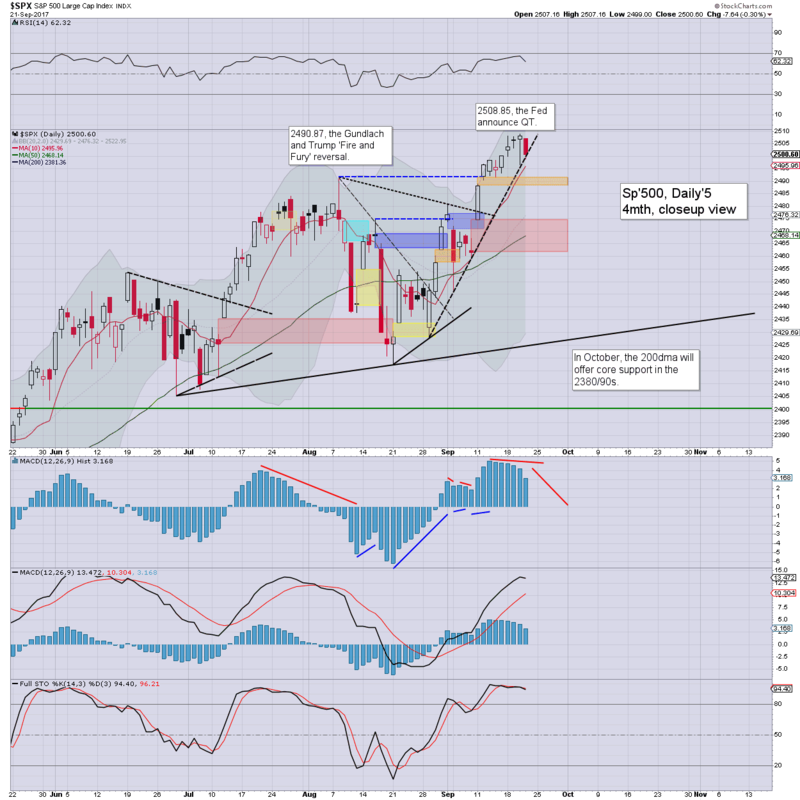 At the current rate, we'll see a bearish MACD cross next Tue/Wed. 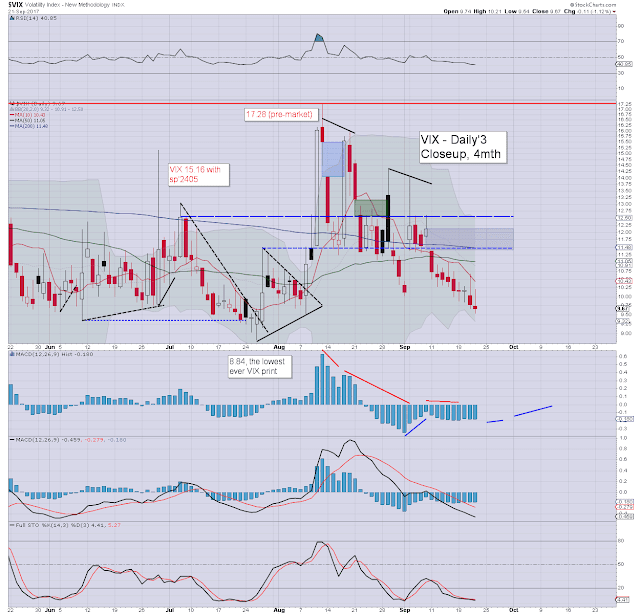 Market volatility remains broadly subdued, with the VIX spiking to 10.21, but settling in the mid 9s. Near term outlook remains unchanged, a 4-5% correction into Oct' is due, which should equate to VIX in the upper teens, perhaps briefly testing the key 20 threshold.